Last month, famed Super Meat Boy developer Edmund McMillen announced that he had been secretly working on a brand new game. The project wasn't related to Team Meat's awesome side-scrolling platformer, though. No, this game was something completely new. It was something for McMillen to do to enjoy being a game developer and to put his massive game-making talents to proper use. Being the indie game lover that I am, I immediately looked forward to learning more about the game, and I'm certain other gamers felt the same way. A little over a month has passed since the original announcement for The Binding of Isaac, McMillen's current solo project, and the game is inching toward its September release. Let's take a close look at this potentially awesome downloadable game. When McMillen explained that his upcoming game was a roguelike shooter, he stated that many gamers may scoff at the idea of a game that falls under both the punishing roguelike category and the more streamlined shoot 'em up. He said that to some gamers, the idea of these two concepts being combined might be a bit controversial, but he truly believes that The Binding of Isaac is equal parts shooter and roguelike. How does an unlikely amalgamation of genres like this play out, though? According to McMillen, the core concept in The Binding of Isaac is that of a shooter. You roam around several areas, taking out enemies and collecting upgrades. You take on bosses and, as is customary in shooters, these boss battles will likely be pretty challenging and pit you against larger-than-life creatures. According to McMillen, the roguelike gameplay is prominent throughout the game's entirety. The Binding of Isaac will feature a punishing collection of dungeons, all of which will be randomly generated, much like in the indie hit Spelunky. Players can expect each of these dungeons to feature its own enemy layouts and challenges. This is something most gamers should be familiar with if they've played roguelike dungeon crawlers and RPGs in the past, and it's this element of surprise that keeps the entries in the genre fresh and unpredictable throughout. Perma-death, an element that alienates a number of gamers and keeps them from playing roguelikes, will also be featured in The Binding of Isaac. For some individuals, this mechanic makes it hard to enjoy a game and even takes away from the experience. For others, however, perma-death is an excellent throwback to old school games, and it gives the game a rewarding level of challenge. McMillen confirmed that unlockable items will be usable in subsequent playthroughs, and he stated that players will be encouraged to get through the entire game as a result of this, which should come as good news to plenty of gamers. McMillen listed a handful of interesting inspirations for The Binding of Isaac. First and foremost is The Legend of Zelda. Considering the game is one of the developer's favorites, it makes sense that he would draw inspiration from the classic 8-bit action-adventure game. And judging from screenshots of The Binding of Isaac, the referencing is very apparent. Hey, if you're going to make a game, there's nothing wrong with brainstorming off the NES classic! In addition to the Zelda influences, McMillen has stated that the game's controls are based on Smash TV and Robotron. This should prove fairly interesting, especially given the fact that most games that feature dungeon gameplay usually don't offer shooter mechanics. When you consider all of the elements that the incredibly creative developer is combining and playing around with, the idea of a roguelike shooter immediately begins to make sense. 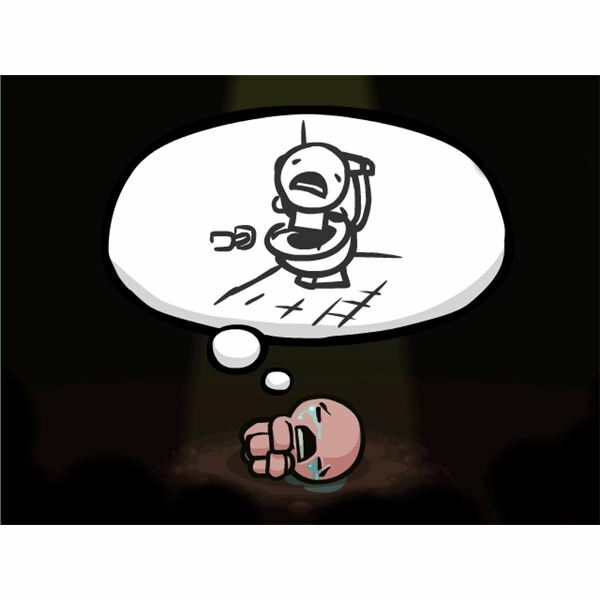 Of course, McMillen has always been an outside-the-box kind of thinker, and The Binding of Isaac is no exception. Based on the biblical tale of Abraham, the game stars a young boy who's trying to get away from his mother as she attempts to kill him.This plot device alone is already remarkably intriguing, and it's going to be interesting seeing how the story unfolds in-game. McMillen stated that despite the game's biblical roots, it's actually very comedic and shouldn't be considered offensive. It's a common practice for indie developers to come up with unique ideas for their games. The Binding of Isaac is most certainly a unique idea, but from what McMillen has revealed thus far, it almost seems like an ingenious direction. 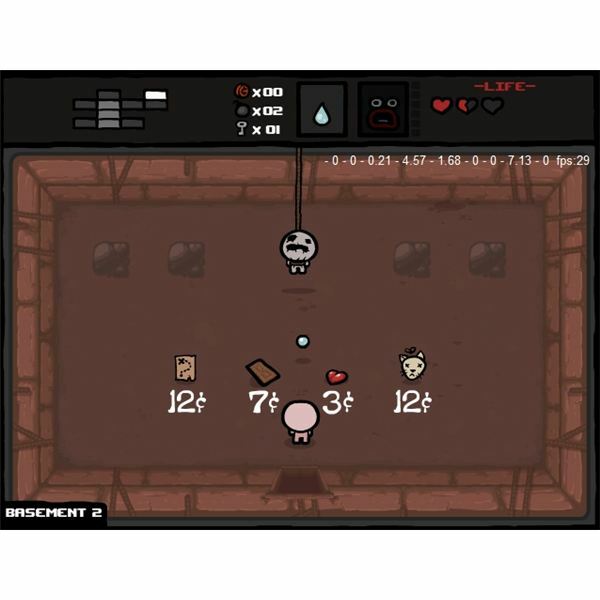 The story itself is interesting as it is, but by combining several different gameplay elements–most of which aren't often featured in the same genre–The Binding of Isaac looks to stand out as a tremendously rewarding experience. Like most gamers, I've played games that successfully blend varying mechanics to provide stellar gameplay. I've also had to deal with a few games that failed to deliver despite promising innovation. 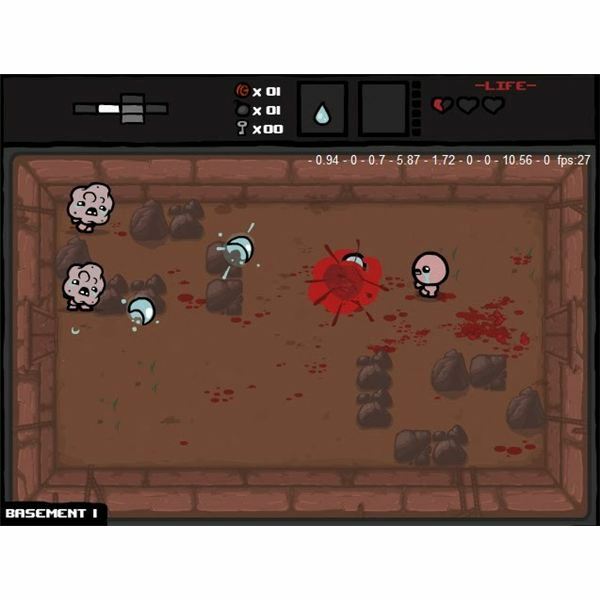 The Binding of Isaac is shaping up to be a very cool game, and if Edmund McMillen can properly give gamers an engaging shooter experience mixed with solid and challenging roguelike and RPG elements, The Binding of Isaac may very well be a download worth playing for most gamers. The Binding of Isaac will launch for PC this September. Gamers will be able to download it on Steam for $5 (an awesome price, by the way). Watch out for it! All information and screenshots taken from The Binding of Isaac by Edmund McMillen.